From 6 to 10 November, the IRZ, together with the OSCE mission in Serbia, organised a working visit on administrative court proceedings in Germany. Members of the Serbian delegation, which was led by the Vice-President of the Serbian Administrative Court, Dušica Marinković, are preparing for the possible introduction of stages of appeal to administrative court proceedings in Serbia. During their visit, the focus was therefore on the issue of appeal, particularly with regard to its legitimacy. The visit began with an introduction at the German Federal Ministry of Justice and Consumer Protection (BMJV), where Claudia Eller-Funke, a speaker from the department of International Legal Cooperation, welcomed the Serbian guests. Theodoros Mavridis, Public Prosecutor’s Office, department of administrative, financial and social jurisdiction at the BMJV, then provided a fundamental overview of administrative court proceedings in Germany. The next day, the knowledge gained here was expanded still further during a visit to a court hearing at the Administrative Court of Berlin and in discussions with presiding judge Jens Tegtmeier. This practical exchange of experiences continued with expert discussions at the “House of Law” with Dr. Florian von Alemann, a member of the Executive Committee of the Association of German Administrative Judges (Bundes Deutscher Verwaltungsrichter und Verwaltungsrichterinnen or BDVR). The last stop on the working visit, which also included an overview of the work of the BMJV in general and a visit to the German Bundestag, was the German Federal Administrative Court in Leipzig. Here, Martin Steinkühler, one of the court judges, was available for in-depth discussions. The visit to Germany provided plenty of valuable inspiration and showed the importance of keeping informed about the relevant practical framework when using foreign law as a point of reference. For example, it soon became clear that, in order to achieve effective legal protection in a system where appeals are admitted, there is a requirement for the appropriate quality of decisions made by administrative authorities and the court of first instance. From 11 to 13 October 2016, the regional conference on “The constitutional protection of property rights” was held in Vdrnik, Serbia. Representatives from the Constitutional Courts of Bosnia and Herzegovina, Croatia and Montenegro also attended the conference. The regional constitutional conference is part of the continuing, traditional and successful collaboration with the Serbian Constitutional Court. In her welcoming speech, the President of the Constitutional Court of Serbia, Vesna Ilić Prelić, was full of praise for this friendly cooperation, which has become more than just a partnership. All the former Yugoslavian states have been through and are still going through the same legal transformation processes. The objective of the conference was therefore to encourage the exchange of experiences between the constitutional courts and to discuss how to deal with the constitutional right to property, especially in times of national and social upheaval. This applies in particular to the transition from socialism to a market economy. Aleksandra Martinović, President of the Constitutional Court, Federation of Bosnia and Herzegovina. Representing Germany at the conference, Prof. Dr. Udo Steiner, a former judge at the German Federal Constitutional Court from the University of Regensburg, talked to participants about German experiences after reunification and the related legal challenges, as well as the relationship between the German Federal Constitutional Court and the European Court of Human Rights. The event provided additional proof of the importance of sharing and exchanging experiences and dialogue when it comes to the successful legal transformation of the former Yugoslavian states. 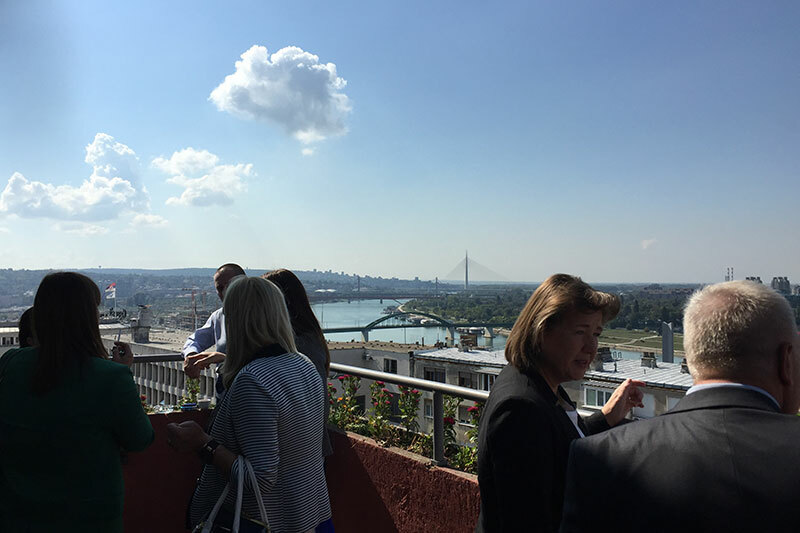 A conference on “The role of judges and freedom of speech” was held on 27 September 2016 in Belgrade. 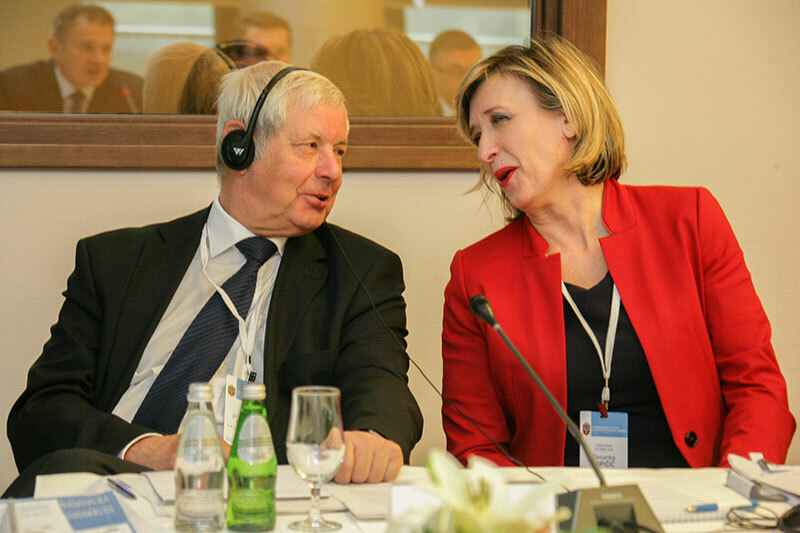 The conference was organised jointly by the Judges’ Association of Serbia, the German Association of Judges and the IRZ. The event enabled the exchange of experiences across national borders between judges from Montenegro, as well as from Germany and Serbia. 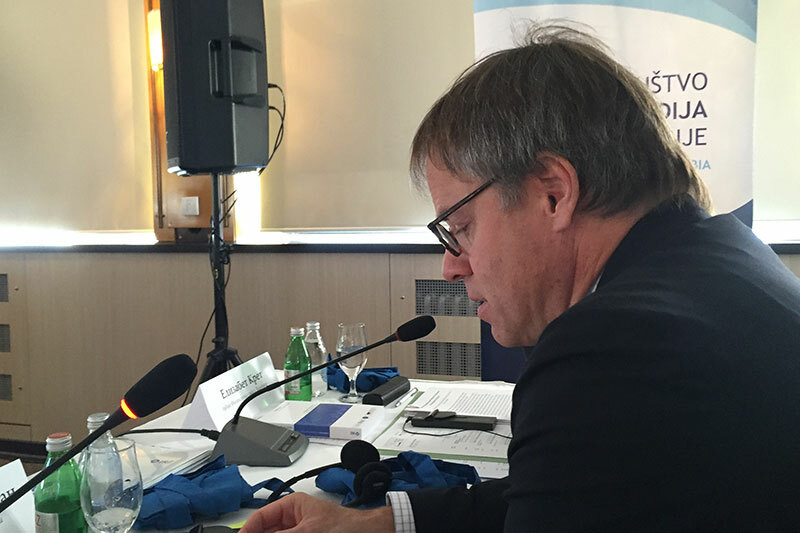 In his opening speech, German ambassador Axel Dittmann pointed out the importance of the justice system and of an independent judiciary for preparing Serbia’s entry to the EU. 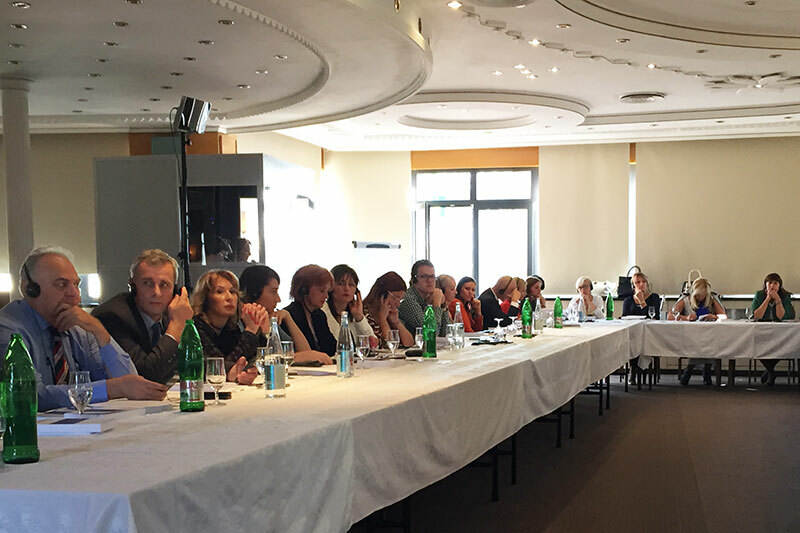 The President of the Judges’ Association of Serbia, Dragana Boljevic, also spoke at the well-attended conference. 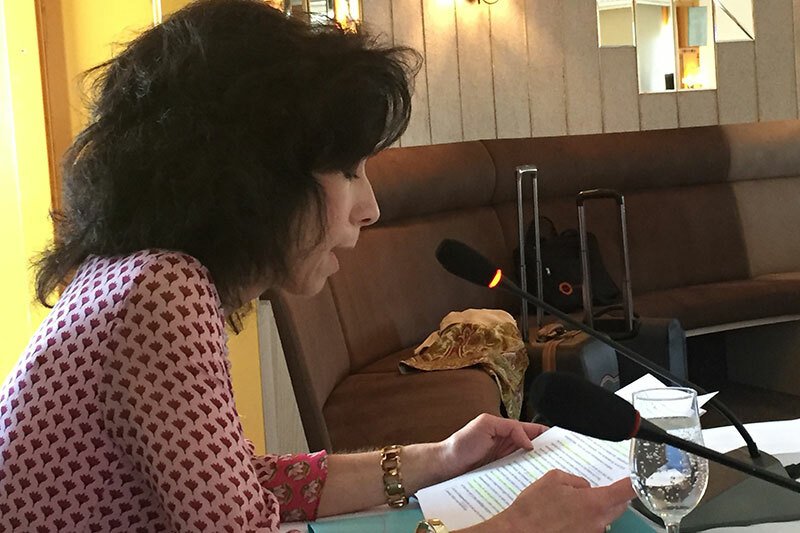 Other speakers were Andrea Titz, a judge at the higher regional court of Munich, and Elisabeth Kreth, a judge at the finance court of Hamburg, both of whom are members of the German Association of Judges. During the intense discussions following the presentations, issues concerning the ability of judges to give their opinions in public were discussed, as well as the media coverage of how they perform their duties and of the justice system as a whole. One of the participating judges said that Germany and Serbia are like living in “two different worlds” For example, Serbian judges are not allowed to belong to political parties. Others also reported critical and even slanderous media reports on judges, which went as far as accusations of the judges concerned being on defendants’ payrolls, which would be completely unthinkable in this form in Germany. It is precisely these contrasting situations, however, that show that gearing legal regulations and even standard practices towards the German model could make perfect sense for Serbia and other states in the region in order to resolve existing irregularities. Since journalists also took part in this event, it was an occasion for direct discussions to take place between representatives of the justice system and the media, which is otherwise rare in the region.